Our Sliding Patio Door has classic good looks with a maximum glass area which optimises visibility, making it a perfect choice for conservatories, balconies, porches or extensions. Offering all the benefits of modern uPVC including noise reduction, low maintenance, safety and security and energy efficiency - our Patio Door systems are available in a wide range of options with a choice of two, three or four panes. We can provide you with details of the options available and advice on the very latest high performance handles and locking mechanisms. 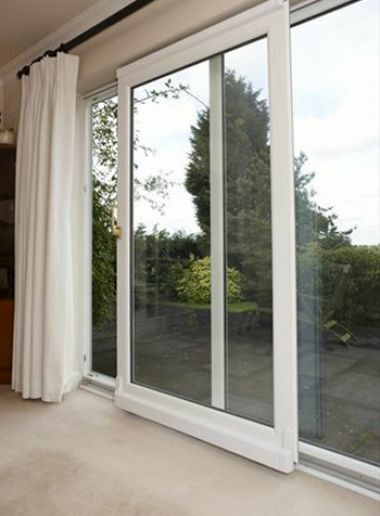 uPVC patio doors are also available in the complete range of colours and finishes.